Calhoun’s Cafe and Catering (web site, 3035 West Broadway, Vancouver, BC, phone 604-731-7062) is a popular hangout and studying place for UBC students that is open 24 hours. 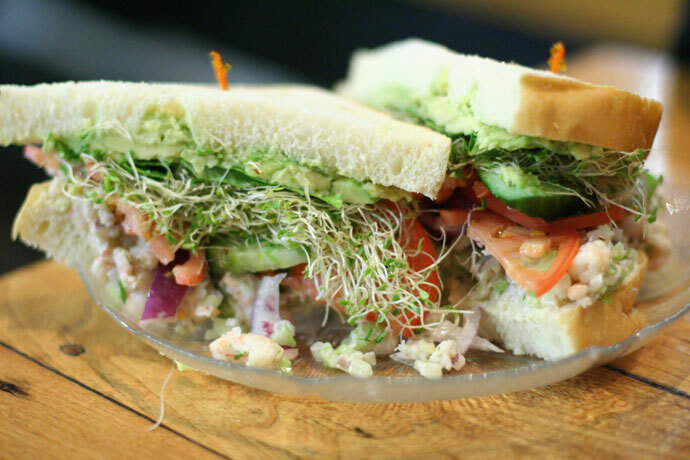 They have a good selection of ready-to-eat entrees as well as delicious made-to-order sandwiches, alcoholic beverages, ice cream, cakes, and gourmet coffees. They have free wireless internet access, as well as live music several nights a week. Calhoun’s recently installed wide screen televisions that are tuned to the sports channels. Mel’s Coffee and Diner, or Melriches (1043 Mainland Street, Vancouver, BC, phone (604) 681-2120) is a comfortable, warm, and well-kept place to have a casual lunch downtown. Located in the heart of Vancouver’s upscale Yaletown district, Mel’s is perfect for those times you don’t feel like shelling out the big bucks for a lunch on the town. 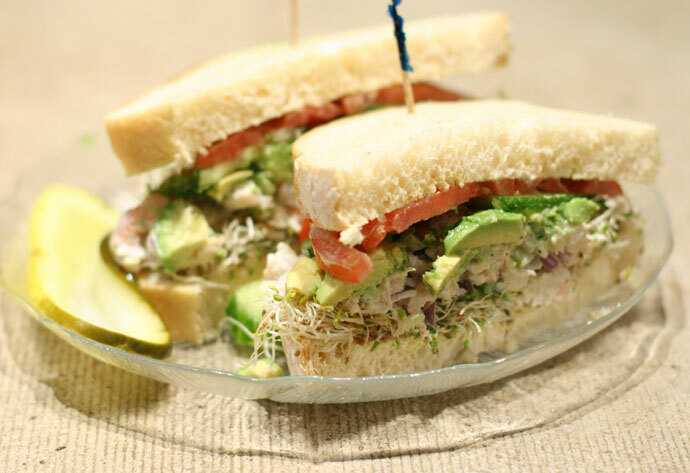 Order your food from up front, picking from their tempting selection of sandwiches, panini’s, and all day breakfast items. 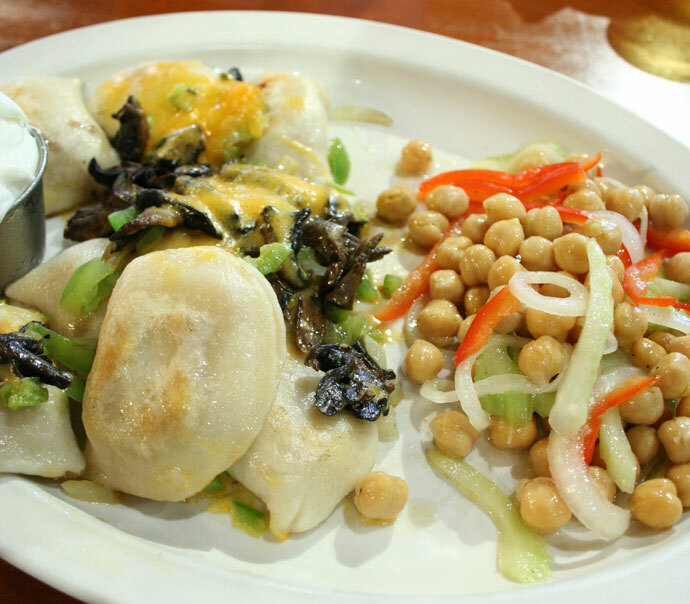 I quite enjoyed the Perogies which were served with a chick pea salad (pictured below, $9.49 including tax). 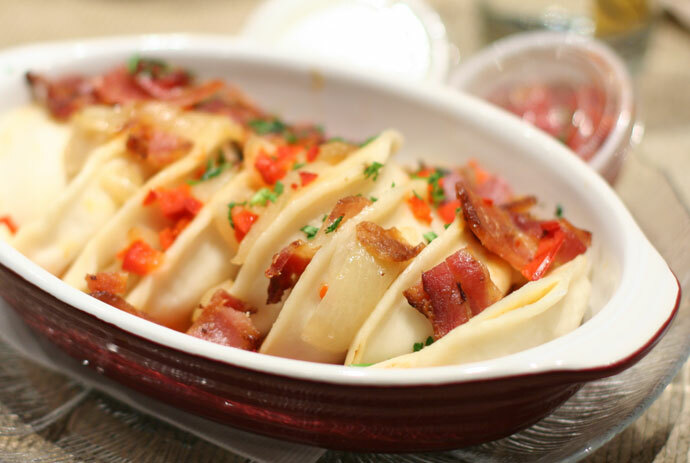 We hope you enjoy the great Perogies restaurants on Dine Out Here Vancouver.